AT&T’s press conference at CES 2013 was almost entirely dominated with information and announcements relevant only to developers, and the company hardly even mentioned its new phone, the Pantech Discover, preferring to send out a press release just before the event began. That’s not to say there was nothing interesting, but to hear the choice snippets, you had to be one of the dedicated few to sit through the 90 minute presentation. 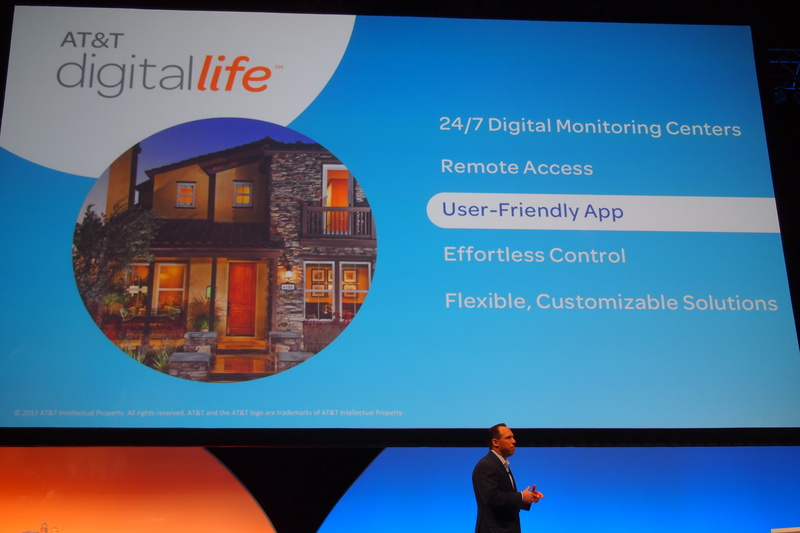 One of the major topics was AT&T’s Digital Life, a wireless, digital service set to launch in eight markets by the end of this year. 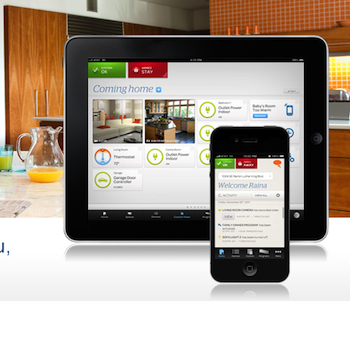 It enables your Android, iOS, and Windows Phone to take control of your home’s security and automation – in turn controlled by a Cisco-produced control panel – including everything from an intruder alarm, door locks, and smoke detectors to the temperature setting on your thermostat. Notifications can alert you of a problem, and the security systems will be monitored by dedicated AT&T call centers, who will contact the authorities in the event of an alert. It appears it won’t matter whether you get both your mobile and broadband service through AT&T to sign-up for Digital Life either. The initial markets where it will be available have yet to be confirmed, but AT&T promises they’ll be joined by another 50 as we continue through 2013. AT&T also talked about its It Can Wait program, which brings DriveMode to the new Pantech Discover. DriveMode continues to promote It Can Wait’s safe driving message and will answer incoming SMS and calls while you’re in the car. The Discover will be the first phone to use DriveMode, though Samsung and HTC have said they will also be supporting the app on future AT&T phones. Finally, look out for advancements in NFC mobile payments from the carrier over the coming 12 months, as the company thinks it’ll be a “break through year” for the technology. It has recently signed a deal with Coca-Cola, with whom it is now testing vending machines with built-in wireless payment technology in Austin, Texas. These machines will pave the way for other deals to serve the estimated 40 million NFC-equipped phones AT&T expects to be in circulation by the end of the year.